This entry was posted in Beagleboard, Computers and tagged 1 GHz, adaptive body bias, beagleboard xm, cpu frequency, linux, linux kernel, omap, ti. Bookmark the permalink. Dear sir, may i asking your help? about patch for erratum fix for beagleboard-xm? is this mean the system request the directory of image file? I believe this means that you are in the wrong directory and it could not find the patch. I made the patch files assuming that the patch command is being run from the root directory of the kernel source tree. So if you execute the above command from the root directory of the kernel tree, you should be fine. 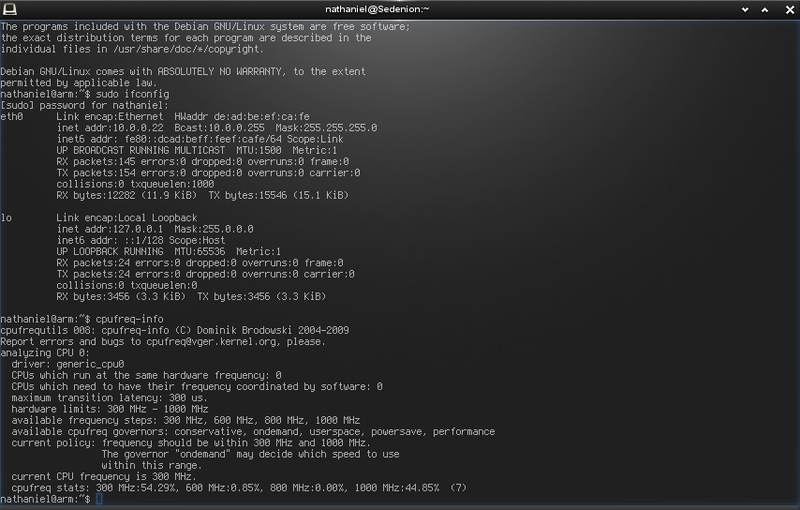 But the beagleboardxm-kernel repository is setup with scripts to automatically patch and build the kernel. Please could you tell me which gcc version you use to build your kernels? I’m currently using gcc 4.7.2 and binutils 2.22. I built my toolchain via Crosstool-ng because I’m running on OpenSUSE. If you are using ubuntu, there is an arm version ofgcc-arm-linux-gnueabihf gcc in the standard repositories (gcc-arm-linux-gnueabihf) which i’ve used in the past to compile the kernel.